ALL ABOUT CEIL: Old Airport Road Food Centre : What to Eat? Old Airport Road Food Centre is one of the oldest and largest hawker centres in Singapore, it has been around for about 40 years. Listed here are some of the worth trying stalls if you are there. There is always a queue at this stall as the owner insists to fry a plate at a time, he has been doing it for the past 40 years. 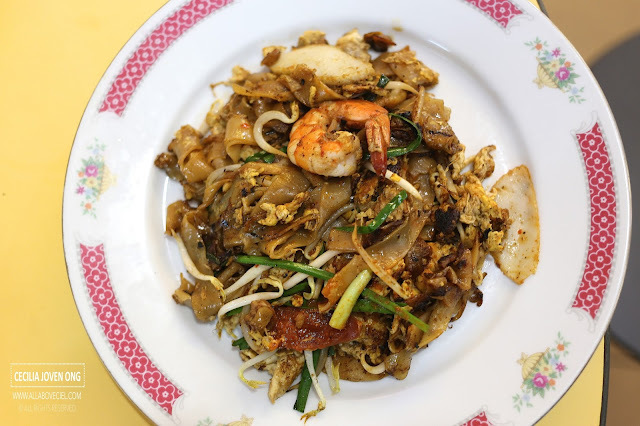 The Fried Kway Teow does not quite taste like the usual one out there as it is much drier in texture, it bears a little resemblance to the Penang Fried Kway Teow. Even so, it is slightly sweeter and less savoury as well as not as spicy. You might not like this if you prefer the wetter version like the one from the famous Hillstreet Fried Kway Teow. I would think this is quite good as it is done consistently with a distinct taste of wok hei. The elderly Uncle is a little slow, so anticipate a longer waiting time. 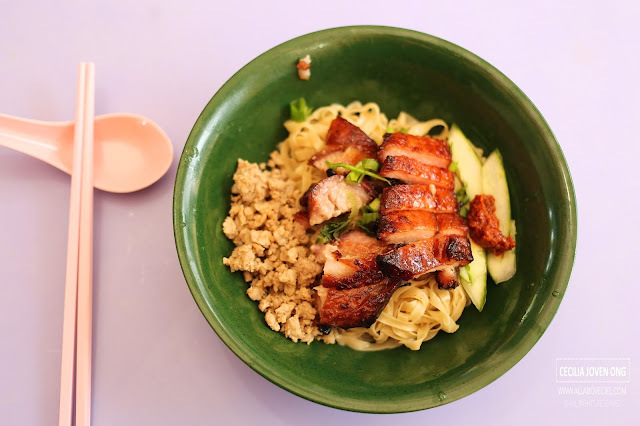 Their kind of char siew is a classic KL style, which has been intensely marinated and well caramelised to give a distinct sweetness with a sticky texture using the part in between the pig's shoulders and belly, near the armpit, which is supposedly more tender. It is nicely charred and presented in chunky pieces with a slightly crispier texture and a distinct smoky flavor yet not compromising its tenderness, it is partly due to the slightly fatter part that has been used for an excellent mouthfeel. You should try their Hakka Noodle to go with either their char siew or sio bak, both are equally good. This stall has been around for quite a long while and they used to sell Lor Mee and Prawn Mee but only just Lor Mee now. 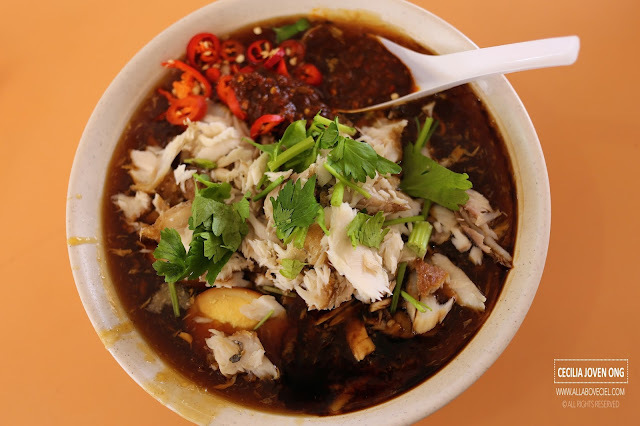 There are 3 sizes for selection, the smallest ($3), the medium ($4) and the largest ($5) portion but do take note that the smallest portion is served without the shredded fish meat. You could also choose the $6 portion with extra ingredients added. Their Lor Mee is slightly different from those out there as they do not serve it with those fried fish nuggets but with shredded fish meat just like the other famous stall at Amoy Street Food Centre. This is a popular western food stall in this food centre and they have been around for quite a while. 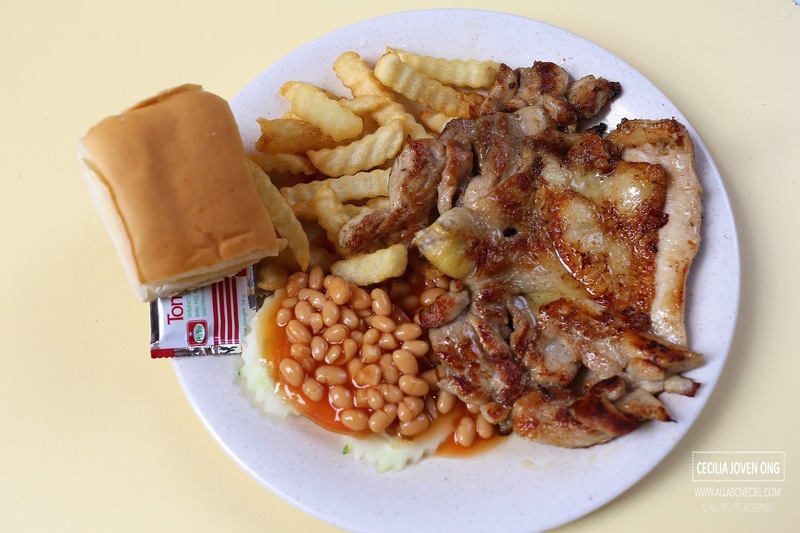 Their Chicken Chop at $6 is one of their most popular items on their menu. It was quite a massive portion for that amount of money. They served a piece of nicely chargrilled deboned chicken drumstick with a sweet bun in a plastic bag together with fries, baked beans and slices of tomato and cucumber. Their secret ingredient is the sweet and tangy garlic sauce that they created with more than 10 ingredients using a secret recipe that is only known to the owner. This taste has remain unchanged for the past 20 years. They serve Thai coconut ice cream in this food centre, which is not too commonly yet. You could choose the jumbo size at $5.50 which consists of 3 scoops of ice cream or the classic size at $4.90 that consists of 2 scoops of ice cream. 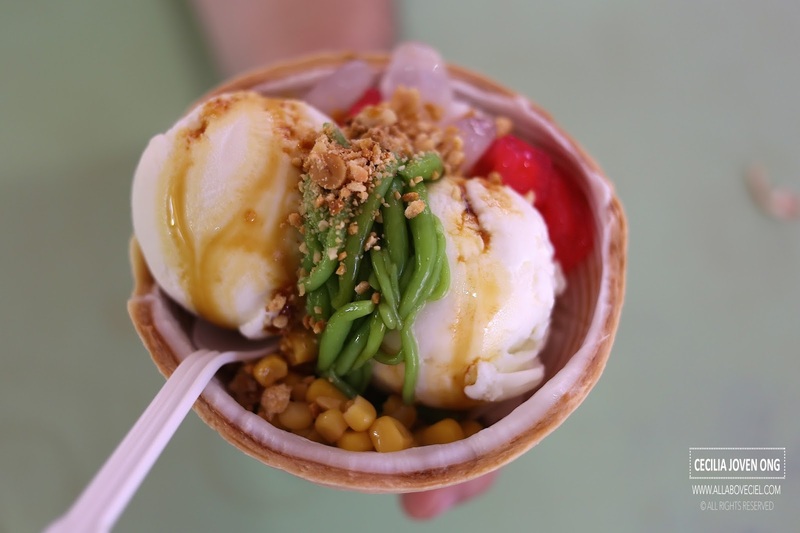 Both sizes come with 5 different toppings which include red ruby, sweet corn, chendol, atap seeds and grounded peanuts. Their other popular item is Mango Sticky Rice at $5.90 which consists of single scoop of ice cream with coconut flesh, sticky rice and fresh mango cubes.